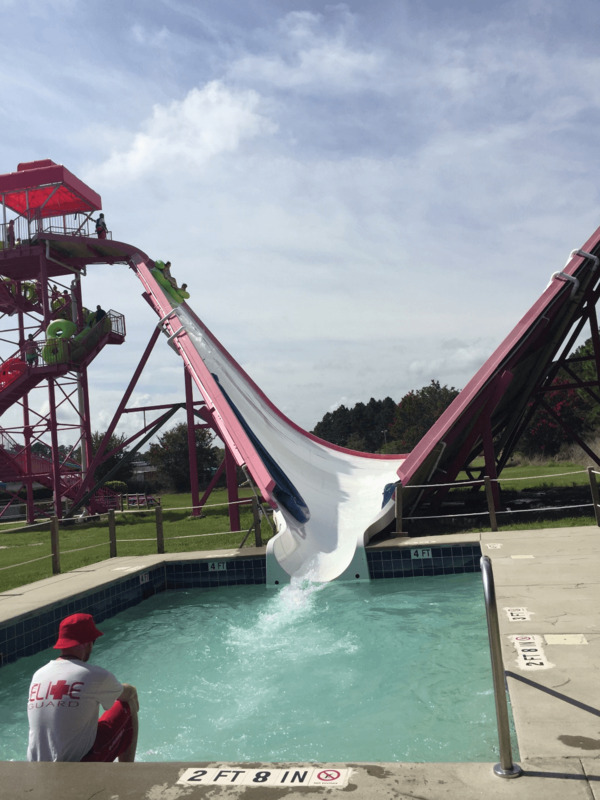 Dive into memorable fun at Myrtle Waves. 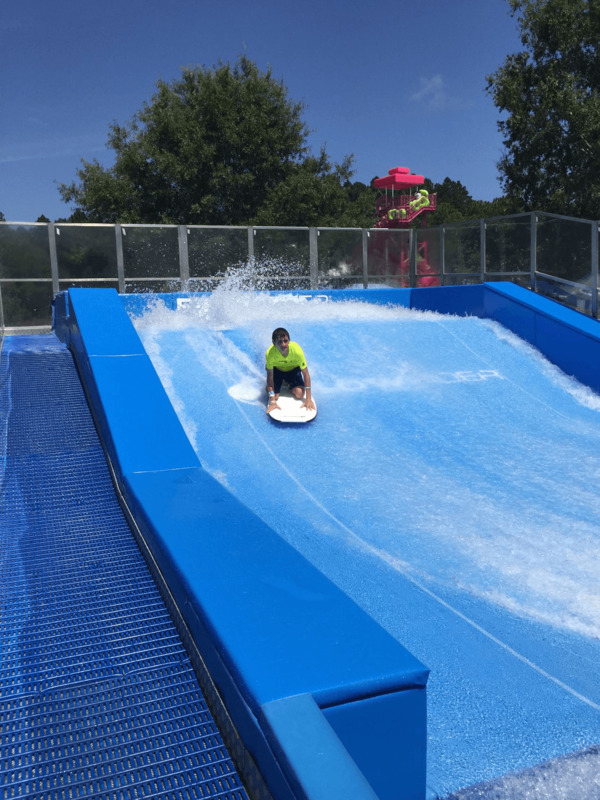 South Carolina’s largest waterpark boasts 22 slides and attractions with 1.2 million gallons of water. Featuring endless fun for all ages, top attractions include the FlowRider®, Super Chute, Turbo Twisters, Lazy River, and Ocean in Motion Wave Pool. From extreme thrills to family-friendly pools, a trip to Myrtle Waves is the best way to spend a summer day. Typically open from mid-May until mid-September. Water park attractions available for all ages. The park staffs over 100 thoroughly trained lifeguards. Outside food and beverages are not allowed inside the park. 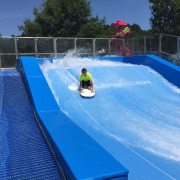 Splash into fun at Myrtle Waves Water Park, South Carolina's largest water park, with over 20 acres of swerves, curves, waves and chutes and more than one million gallons of water. Slide down the extreme water attraction, the Rockin Ray, catch a wave in the Ocean in Motion Wave Pool, get drenched at the Saturation Station kids’ play area, or catch a ride on Arooba Tooba where you never have the same swirl twice! All-day summer fun at Myrtle Waves Water Park is priced right! Bring the entire family and all of your friends for a full DAY of splash-packed adventure. With 24 slides, pools and play areas, plus 1.2 million gallons of family fun, Myrtle Waves is the coolest place in Myrtle Beach. Float in the wave pool, rent a private cabana, scream on exciting slides including the newest additions, The Rockin Ray and the Tsunami FlowRider®, splash in the kid's play areas, dine, shop and more. The park includes free parking, shower and changing facilities, complimentary life jackets and locker rentals. Hours of operations are subject to change without notice. The park is typically open from mid-March to mid-September with varying hours of operation dependent on the day of the week. Can I bring my own tubes, rafts, or lifejackets? No. Guests may not bring any personal flotation devices into the park with the exception of Coast Guard approved life jackets. Life jackets and tubes are provided free of charge on a first-come, first-serve basis. Myrtle Waves provides a picnic area outside of the main entrance of the park. Guests are able to enjoy their picnic in this area but are not allowed to bring any outside food or beverage into the facility except one water bottle per person. Bags will be checked before park entry. Can I leave and re-enter the park on the same day? Yes, simply keep your wristband on and you will gain re-entry into the park. What happens in the case of bad weather during my visit? It is advised that you check the local forecast for the Myrtle Beach area prior to your visit. 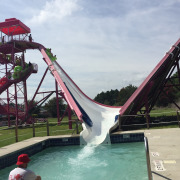 Myrtle Waves Water Park does not close slides due to rain. However, in the event of thunder and lightning, attractions will be temporarily closed. Do the water slides and attractions have height and weight requirements? There are no height restrictions on Saturation Station, Bubble Bay, the Ocean in Motion Wave Pool, and the Lazy River. Riders must be taller than 42″ inches to ride all slides. All slides have a 250 lb. weight restriction. Children under 48″ must wear a life-vest in the Racin’ River. Arooba Tooba and Snake Mountain both have a 250 lb single rider and 400 lb. Double rider weight restriction. Yes. We encourage using a locker to store all valuables and personal items. Lockers can be rented with cash and/or credit/debit cards.